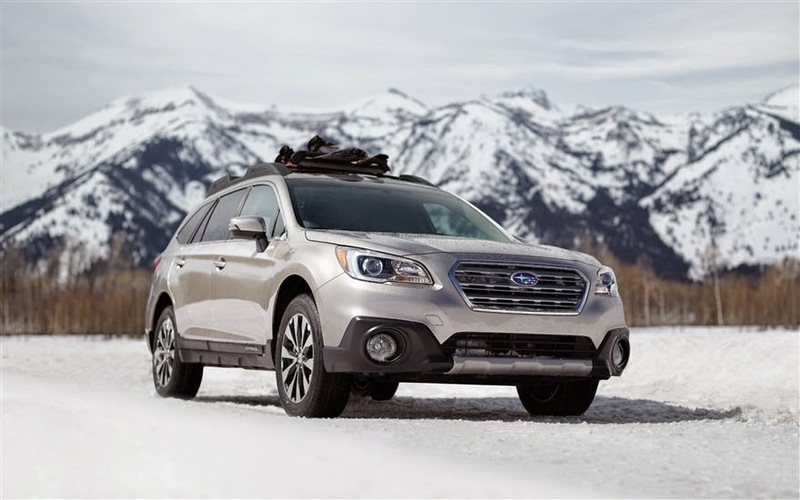 Subaru’s are designed with custom features from its loyal customer base. Fuel economy, roomy interior, and the latest technology are just the starting points. We decided that fuel efficiency was a great place to start when seeking to make a statement. We had no idea we would be crowned the most fuel efficient midsize crossover in America. We just wanted to build a really efficient car. As a result, we came up with the revolutionary SUBARU BOXER engine producing 33 mpg hwy resulting from the low center of gravity on the Outback. The Outback’s spacious interior comes complete with inviting soft touch surfaces and enhanced materials for maximum enjoyment; including two and four-legged friends. Naturally you want to keep everybody safe in your Outback. Available eyesight driver assist checks out the traffic around you, maximizes cruise control, and alerts you if you’re drifting out of your lane. It can even help stop the car if necessary. Vehicle dynamic control (VDC) helps keep you in control regardless of terrain. It's a pretty amazing little car. Sorry, it won't walk the dog for you. The Subaru Starlink infotainment system is one of the top of its class. The captivating 7 inch screen with voice control, smart phone integration capabilities, and 12 Harmon Kardon speakers will help you stay connected, integrated, and informed. The state-of-the-art Symmetrical all-wheel drive with X-mode enhances stability, effectiveness, and dynamic response to all manner of conditions. Come and see where your Outback will take you. The Olympia Automall is your place to find the greatest selection of Subaru’s in the state of Washington. Visit with our staff to find the Outback that’s right for you. If you are looking for the best new or used cars Puyallup, WA has to offer, the Olympia Automall is your premier choice.